Dental hygiene is incredibly important as soon as your child's first pearly whites appear. But getting them to brush independently--and to do a good job while doing so--can be a big struggle. Read on for six tried and true tips on how to get your kiddo to take care of his or her teeth, beginning as soon as they are old enough to hold a toothbrush. 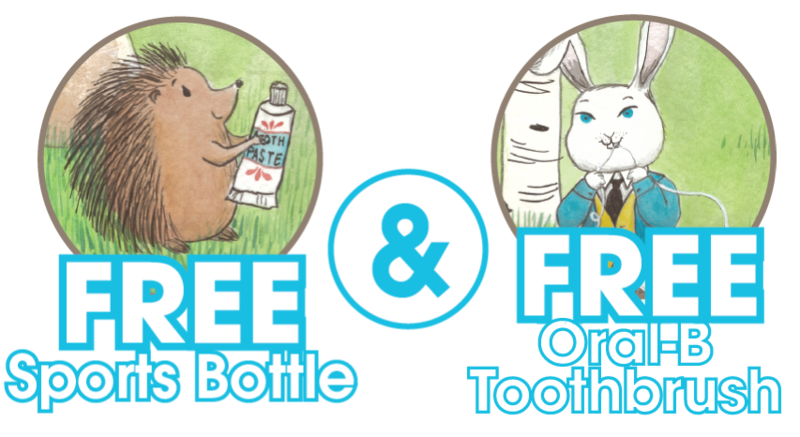 Give your child a choice in the process by letting him or her choose a toothbrush with a favorite character and a fun flavor of toothpaste. (Make sure to choose one that has the American Dental Association's (ADA) Seal of Acceptance.) Have a few different options handy so that you can easily swap out for a new toothbrush if the routine starts to get boring. Incorporate favorite characters into brushing too--for example, ask your child to open wide like an alligator. Or, if they're into superheroes, pretend that the germs in their mouths are baddies that they have to vanquish. Get down on your child's level, open wide, and show them how you brush. Demonstrate different techniques such as circular motions and holding the brush at a 45 degree angle. Once they've watched a few times, have them hold their own brush and mimic what you're doing. Letting your child watch you brush and floss also sets the example of good oral hygiene. You should also visit a dentist as soon as your child has teeth. He or she can talk with your child about the importance of brushing as soon as he or she is old enough to understand, as well as demonstrate the proper way to brush and floss. If your child is reluctant to brush, consider making a star chart and giving them a sticker each time they successfully brush independently. Have simple prizes on hand when your child fills a row of the chart--things like crayons and coloring books, not candy or sweet treats. This gives your child a sense of pride in brushing. Small children love routine. Gather the family each day for group brushing, and let your child set an egg timer for the recommended amount of time. Singing a song together and making it a habit can help ingrain the importance of brushing. Although holding your child to brush can be awkward at first, doing so is an important part of oral hygiene before he or she is old enough to brush completely independently. For babies and toddlers, try holding them on your lap with the head resting on your leg. For older kids, stand behind them and hold their hand while they brush to ensure proper technique. If your child is reluctant to brush, let them first practice on a favorite doll or teddy bear. You may even want to let them try brushing your teeth before tackling their own. Give them instructions at each step of the way so that they feel confident with the process before giving their own mouth a try. Although it's important for your child to learn to brush independently, most kids don't master this skill until the age of six or seven. However, continue to encourage them and work on the technique of brushing while also supervising to make sure that their teeth get clean. Your kid's dentist can let you know whether or not they are brushing well enough. Even children as old as ten or eleven sometimes need to be supervised to make sure their teeth get clean enough.